A few days ago, comic writer Mark Waid posted an entry to his blog about a Ball State University course that combines comics with higher eduction (two things I'm interested in) in the form of a new, massive open online course (abbreviated as MOOC, which sounds too much like "mook" for me) titled "Gender Through Comic Books". This course, which runs from April 2 through May 10, 2013, will be taught online and features open registration - with no enrollment cost. This already is a pretty tempting offer, but it turns out that Waid and a number of other comic book creators will be involved, through interviews, in this course as well. 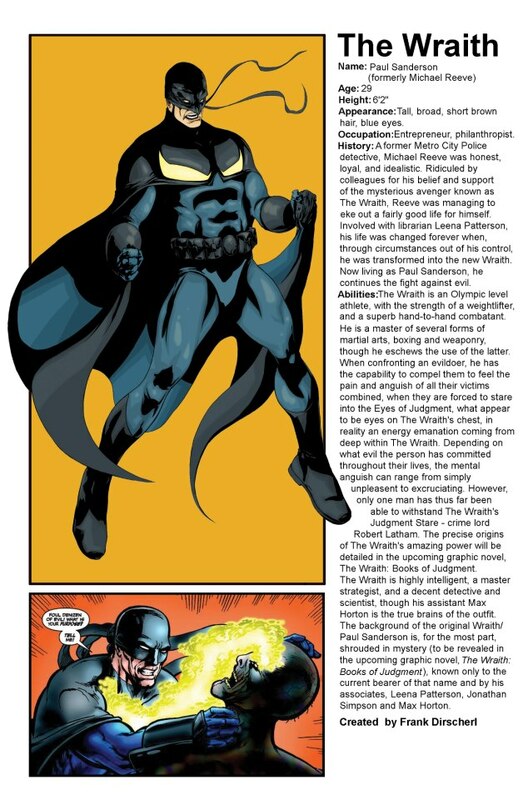 Waid mentions the likes of Brian Michael Bendis, Terry Moore, Brian K. Vaughn, Jonathan Hickman, Scott Snyder as well as others. Gender Through Comics: A Super MOOC is a Massive Open Online Course (MOOC) coming Spring 2013 that examines how comic books can be used to explore questions of gender identity, stereotypes, and roles. This highly engaging learning experience is designed for college-age and lifelong learners. The course, led by Christina Blanch of Ball State University, uses a study of comic books incorporating highly interactive video lectures, online discussions between students, and real-time socially driven interviews. Interviews with the comic industry's biggest names such as Terry Moore, Brian K Vaughan, Mark Waid, as well as others address questions of gender representations and constructions involving both men and women. Aaaand I'm sold. I signed up for the course and will be taking it along with, apparently, over a thousand other people. I'm not sure what the course will involve as far as texts, schedules or grading, but I'm excited to see what it's going to offer. I've even got a student page at Ball State's webpage! It's a bit sparse right now. But I'll personalize it soon and add a link for, I don't know, Franks and Beans or something. This is an exciting opportunity for anyone who enjoys comics, women's studies or new educational advancements. The course is taught by Christina Blanch as part, it looks like, of a doctoral program at Ball State, so hopefully this thing gets her a PhD in something or other. I'll post updates on the blog as the class meets - or, if you'd like, you can take the class with me and hundreds of other friends. Just go to https://www.canvas.net/courses/gender-through-comic-books and sign up! It's quick and easy, and it should be an interesting experience. Kudos to Blanch and Ball State for coordinating this course and offering it to the general public. Oh, and they got Stan Lee to narrate their YouTube ad. A few years ago I was at the Baltimore Comic-Con, and I took a walk to look at some of the vendor booths and happened upon a retailer who had a new Tick statue in a conspicuous location. It was love at first sight, and I was pretty close to buying it right then and there. I stopped myself, though, and decided to use it instead as a goal that I'd try to reach. At this time I was considering submitting a short story to New England Comics, and I told myself that if I put the story together and actually got something published at the company, then I could buy the statue. Truthfully, I've got more than a few Thing statues and I didn't want to just start collecting other high-end items without just cause. It took a few years, but this Saturday, I got this statue in the mail and oh, what a beauty it is. Rather than just keeping it to myself, though, I thought it'd be a good idea to take some pictures and share it with the Internets. This statue is designed and produced by Sideshow Collectibles, which seems to have a statue for every product line imaginable these days, and it's part of an extremely limited production run. If I had known how few of these were made at the time, I might have just gone ahead and bought the statue in Baltimore, but eBay, as always, came through for me and I was able to grab a brand new one from a shop in Florida. According to the box, there were 255 statues made of the "regular" run, which is kind of an arbitrary number, it seems, and only 100 of the limited edition variety, which is what I was able to get. So that means I own 1% of the entire production run of this statue. Crazy. I got number 47, by the way. Here's what it looked like when I opened the packaging. Some of the styrofoam flaked off, but that's okay, it just looks like the Tick is reveling in the snow. You'll notice an object on the right side of the picture - what could it be? It's what makes this statue a part of the limited edition run - the Tick's magic Crime Viewfinder! It's tiny and resplendent in its glory. I had thought that the viewfinder would be attached to the statue, but I'm glad that it comes as its own separate piece with a cloth strap. It really adds something to the piece, I think. Yes, I held it up to the light and tried to look through it; no, it's not functional. Oh well. A recent Bowen Thing statue that I got for my birthday last year was of a similar design - that is, the figure and the base come separately, with a peg in the figure's foot included to attach the two. I love how this base incorporates the Tick logo into the statue. The base is also quite apt - the Tick stands on a rooftop, overlooking The City below. It took a while to get the peg into place, to the point that I thought that I might not be able to work it in. If I couldn't get it to fit, I was just going to take the damn thing to a convention and give it to someone working at the Sideshow booth and tell them "fix it!" But luckily it didn't come to that, and the figure slid into place easily enough. I love the perspective of the base. I was hoping that, like many of my Thing statues, this would come with some sort of certificate, but it didn't. If it had, I was going to take it to Comic-Con next year in hopes of getting Ben Edlund to sign it. As it is, though, I'm considering taking the base with me for that purpose. On the bottom of the base is the Tick logo with some production information (including the number), and I think it'd work really well to get it signed there. That way it isn't obtrusive or distracting and on the character - it'll be there but not too noticeable. Here's the statue with the viewfinder. The statue stands about 12 inches tall, and it's a pretty weighty item. Right after taking this picture, my cat, who is curious like you might expect a cat to be, slid off of the back of this makeshift base, dragging the sheet with her. I caught the statue before it went over, thus saving me the pain of breaking my purchase less than an hour after I received it, as well as keeping me from my quest of then having to own 2% of the entire production run. Thank goodness. Here's the back of the statue, almost as good looking as the front. This is a great addition to the collection and I'm pretty excited about seeing it when I wake up every morning. Sideshow makes some high quality merchandise, and this did not fail to impress. I'm glad that I finally managed to get this and put it up on display. It's a pretty weird coincidence that I've got two books being released for Free Comic Book Day. Either one of them - The Tick or FUBAR - would be a pretty big deal, especially when you consider that absolutely no one has ever heard of me or the work I've done (afterwards, Teddy and the Yeti fans can brag about liking me before I was cool). The Free Comic Book Day website, as simplistic as it is, is slowly filling up with content regarding this year's May 4th event. In fact, there are a number of exclusive interviews with FCBD creators on the site right now. How do I get an interview with someone from the site? Seriously, I need to know this. Do I contact them? Do I wait to be contacted? Does this come across as desperate? Hrumph. At any rate, one of the new additions to the site has been revealed in short previews of many of the participating books, including both the Tick and FUBAR. This is the first anyone's seen of either book other than the covers, so it's pretty neat to know that finally, even in this limited capacity, some of my work is floating out there for any number of viewers to see. Click here to view the Tick's information page on the FCBD website, complete with a link to a pdf file of the issue. Or, heck, just click here to see the preview. 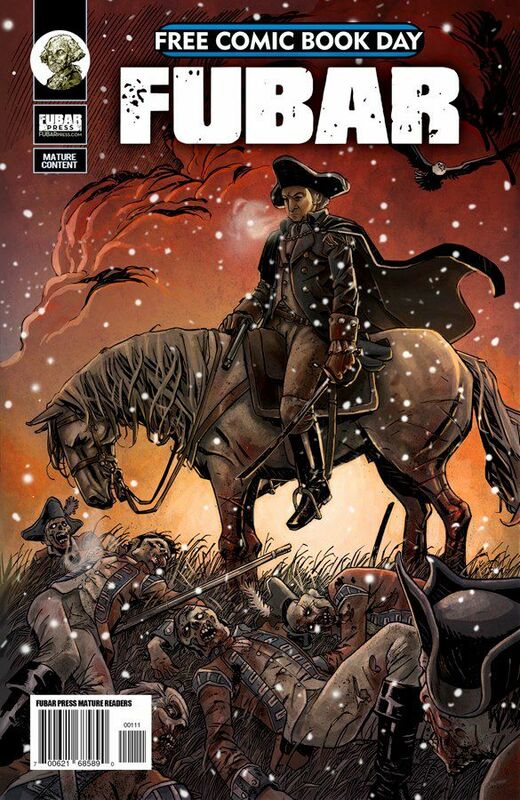 The FUBAR cover went through a minor-ish change as it readies for the printer. It was recently recolored by fellow head honcho Steve Becker, and the result can be seen above. I think that this revision, with a fiery glow as opposed to just the night sky, is just what the doctor ordered. Click here to view the site's FUBAR page, or click here to go straight to the preview! Handbooks, while certainly not unique to the comic industry, have perhaps been embraced by comics more fervently than in any other field. Teddy and the Yeti, you'll note, has handbook entries in the backs of every issue for no other reason than I like 'em (I have heard from at least one other person who enjoys them, too, to be fair). When you think about them and realize that comic handbooks are simply statistical and historical reference guides for fictional characters and places, it's difficult to image why they're so prevalent in comics today, but they're here and I'd imagine that they're not going anywhere. Dave Ryan, mastermind behind the War of the Independents series, is putting together a new handbook featuring characters from the series. A big fan of handbooks myself, I of course made one for Teddy and the Yeti. Much of the information is the same as what's listed in the issues of Teddy and the Yeti, but this time around I added a quote from Chet Raymo so it'd sound smart and meaningful. How academic! 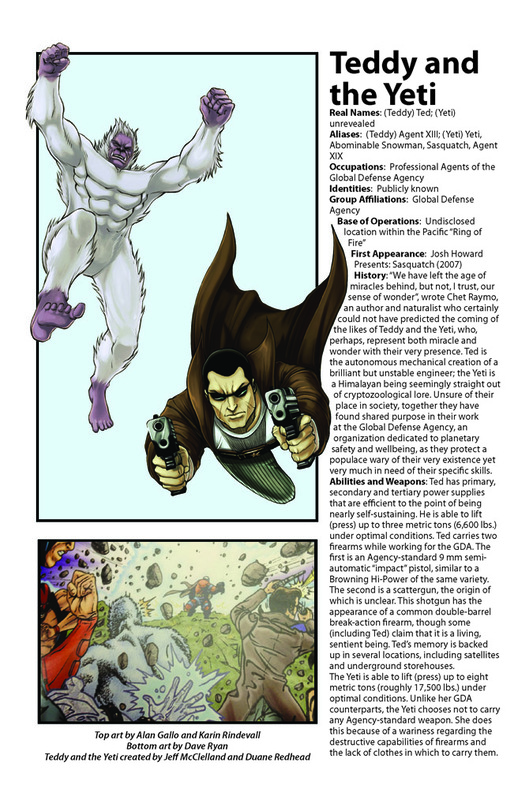 The Teddy and the Yeti War of the Independents handbook entry is posted above. Below are some other pages that will, I'm told, be published both in print as well as electronically. I'll try to keep up on it and let everyone know when it shows up in comic shops. Here's one for the "random image" file. I'm not sure where or how I found this, but I'd wager that this picture is from the DC Super Hero water ski show that was put on in years past at various Sea World locations. Even knowing that, there's still a lot to be said about the image, and I'd love to know the context of when and why this was taken, not to mention just how these folks managed to undertake the task of waterskiing in full superhero costume. How is the Flash able to see anything? The cheeky underwater lass at the foreground is the most intriguing, as she acknowledges the shutterbug with a knowing gesture. But I suppose that all I have to say is this - hubba hubba, Mera. Original Fantastic Four art by Paul Ryan! It'll be a while before Paul Ryan, the comic artist stops being mistaken for Paul Ryan, failed Republican vice presidential nominee, but to me, the name is synonymous with the Fantastic Four books of the 1990s. I've written before of my affinity for him and his art, but suffice it to say that he's one of my favorite comic artists of all time. This is undoubtedly the product of his classic style mixed with the fact that he drew my favorite book, but it still needs to be said - I like the guy's work. I finally worked up the edge to e-mail Mr. Ryan a few weeks ago, and to my delight he wrote back a few days later. Eventually, the conversation turned to original artwork and I ended up purchasing a page from the fabled Fantastic Four run. It showed up in the mail on Monday, so I took a few pictures! The artwork in question is page 20 (27 if you count ads) from Fantastic Four #390, part of the "No One Gets Out Alive!" storyline that saw the Fantastic Four and friends searching for the lost-to-time Reed Richards. Paul did the pencilwork on this page and inks, if memory serves (i.e. I didn't look it up) are by Danny Bulandi, a longtime collaborator with Ryan on the book. What's great about this page - beyond the nostalgia of owning some artwork from a book I grew up reading and loving - was the sheer number of characters featured on the page. You've got the Thing (a must) and the Invisible Woman from the FF, you've got related characters like Ant Man and the Sub Mariner, you've got a classic cosmic character in Uatu, the Watcher, and to top it all off, the first panel is a statue featuring the four original Fantastic Four members in their original costumes with Four Freedoms Plaza in the background. The first panel on the page is actually an overlay panel, meaning that this panel was cut and pasted over what was originally there. 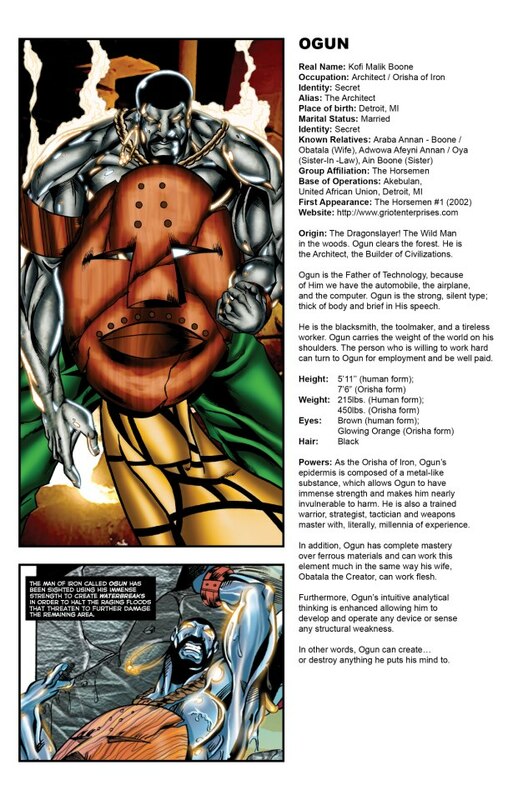 I love all the different production aspects that this page shows, and this is my favorite. Of course, I really want to know what was underneath it, but I'm not going to go and pry the new panel off to find out. This page has more than a few great shots of the Thing, which, of course, was one of my criteria for buying it. It had to feature the Thing, and this page doesn't disappoint. Also, I'll say that I was a big fan of this version of Sue Storm's costume, which didn't stick around for long. Here's some exciting news, perhaps news that I shouldn't curse by giving away before the fact: I'm about 95% certain that Paul will soon be providing a cover for a future issue of Teddy and the Yeti. This is really exciting! I'm sure he'll do a great job - and I'm keeping my fingers crossed that it does actually happen. I picked up some similar items on eBay recently. 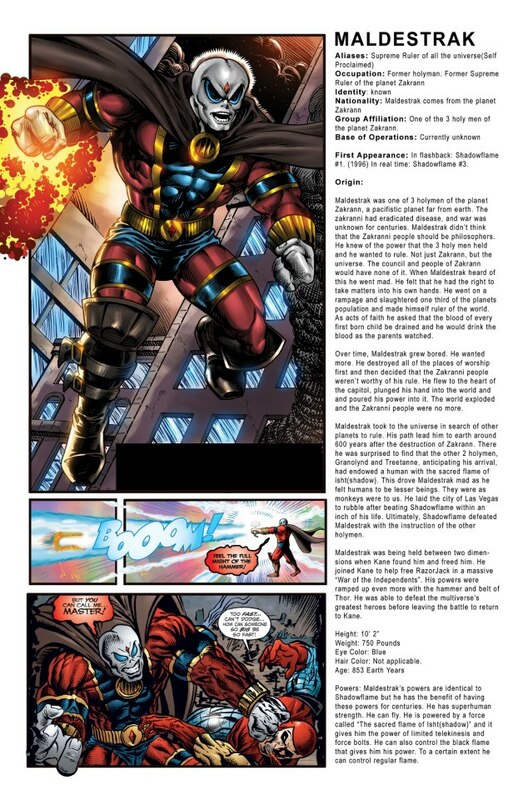 Above and below are color guides for pages from Fantastic Four #392 and Wonder Man #15, which features a hearty helping of the Thing (and is an Infinity War crossover book, which to my 11-year-old self was AWESOME!). Color guides aren't original line art - it's a photocopy of the inked art that a colorist uses to figure out how he/she is going to color the originals when the time comes, hence all of the markings with different color designations. So basically the book's colorist uses this page to practice for the real thing. Since almost all coloring is done digitally these days, color guides don't exist anymore, or at least not en masse like they used to (and certainly not at big publishers like Marvel). And only one copy exists of each guide, so I picked up a pretty cool, unique item of comic artwork. Love how the Thing looks in the Wonder Man page. Let's wrap up this original art-themed post with one more item - Rafer Robers sent me the original art for the "Yeti Rhyme Time" strip he put together for Teddy and the Yeti #5! The board is much bigger than I imagined, and it looks great. Every time I get original art, I tell myself that I need to frame it and display it immediately, and it's no different with this batch. But there's nowhere near enough room to do so, so it's a matter of picking and choosing, I suppose. It's a good problem to have. Comic-Con 2013 bound! And a FUBAR release! As anyone who's read this blog knows, last year's trip to Comic-Con international in San Diego was a pretty big deal. Not only was it lots of fun, but I was able to meet a lot of great people and make some inroads that ultimately led to my writing this year's Tick Free Comic Book Day special. I had a booth in the small press section and I created a costume to wear around the convention, and both of these things took an unbelievable amount of planning and legwork to make happen. I was pleased with the results on both ends, but once the show was over, I started thinking about the 2013 show and realized that if I was lucky enough to get a booth once again, I'd have to start planning almost immediately, and honestly, I didn't know if I had it in me. There was so much preparation work for the show that it took up a lot of my time that would otherwise be reserved for writing and creating comics, which was, of course, the reason for going in the first place. So I eventually decided that I wouldn't be applying for a booth for the 2013 show, but I took a chance and applied for professional registration, and I'm happy (shocked, really) to say that I was accepted and will be attending with a red badge this time around. The Comic-Con organization, as always, is incredibly generous in its attempts to cater to the comic book industry and promote comics in general. The process was incredibly simple - I filled out the application, went online to claim my badges, and got my e-mail confirmation. It should be a fun time, and a different experience than last year, when nearly all of my waking hours were taken up setting up the booth, standing and selling behind the booth, adjusting things for the booth, buying things for the booth...it was stressful at times. This year I'm looking forward to seeing more of the attractions both inside and outside of the convention center and maybe sitting in on a few more panels. There'll still be lots of networking and signing going on - the plan is that I'll spend some time at the New England Comics booth over the event - but there'll be time for other things, too, and I'm excited about that. I'm sure, just like last year, that I'll be posting many more things about Comic-Con before the show takes place. But for now I'm just happy to know that I'll be going back for another swing at things. 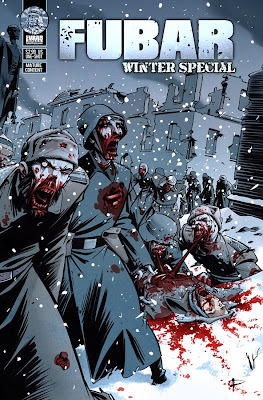 For those who missed it, Wednesday saw the release of the FUBAR Winter Special! I've got two stories in it and there are several other great contributions from folks like Chuck Dixon, Jeff McComsey and Steve Becker. Numbers on this issue were pretty good, so chances are that your store ordered a copy or two for the shelf, so pick one up if you've got the chance! The FUBAR train keeps on rolling.